magnificent scenery, with breathtaking views over the unspoilt Tuscan hills! Apartment (2 adults): 80 EUR per night. The prices include water, electricity and gas consumption, linens (bed linens, towels, table clothes, tea towels..) all taxes and final cleaning. the adjacent "Bedroom + bathroom" providing accommodation for an additional 2 people. The B&B room and the apartment are very tastefully decorated and charming. Double room with ensuite bathroom (bath, washbasin, toilet, bidet). Private panoramic Terrace (34 m2) - the large sun terrace is equipped with table, chairs, deck-chairs and umbrella. Fridge and electric kettle are available in the room. Independent entrance from the garden by the terrace. The room rate is 70 /75 Euro per night including breakfast. The price includes also: water, electricity, bed linen, towels, final cleaning, home cooking breakfast. 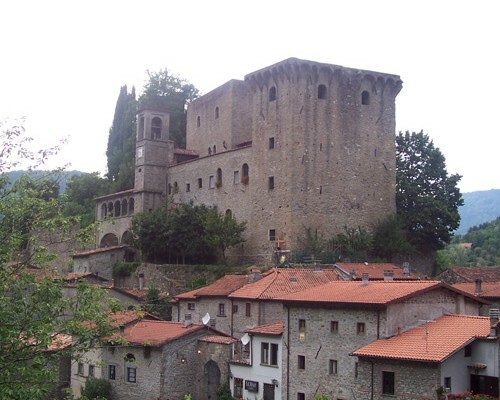 A traditional accommodation in Lunigiana, Tuscany, newly restored nestles in the centre of the old village, a hilltop hamlet, a picturesque location with the benefits of modern comfortable spacious accommodation. 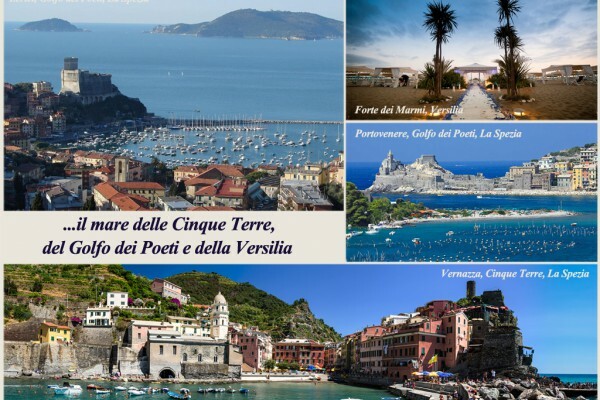 This a perfect holiday for those looking for a comfortable base to enjoy a relaxed holiday with all that Tuscany has to offer right on your doorstep. Olivola - our village - is 15 minutes drive from Aulla (10 km) with supermarkets, pizzerias, restaurants, ice cream shop, bars, banks, petrol station, train station and motorway access. The nearest motorway access is Aulla (10 km). Distances from famous places: Cinque Terre 35-45 km, Lucca 80 km, Pisa 85 km, Genova 100 km , Parma 110 km, Firenze 150 km. 06/04/2018 – Pontremoli: "La leggenda del Lupo Mannaro a Pontremoli". Visita notturna di Pontremoli accompagnati da una guida - attore alla scoperta della leggenda del Lupo Mannaro"
01/05/2018 – Fivizzano: "Mangialonga Fivizzano"
01/06/2018 – Fivizzano: "Sapori" Food festival where you can taste local food (01-02-03 Jun). 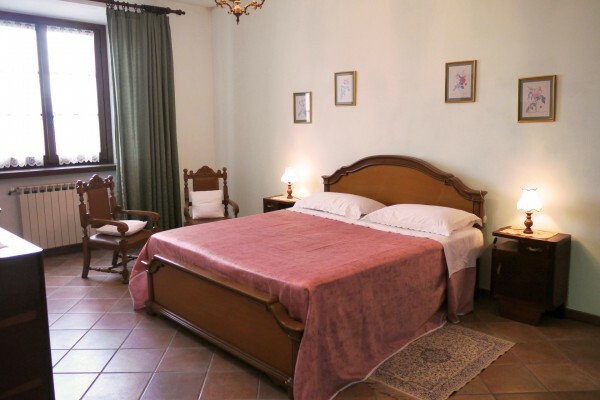 The Lavanda room and the apartments are very tastefully decorated and charming. 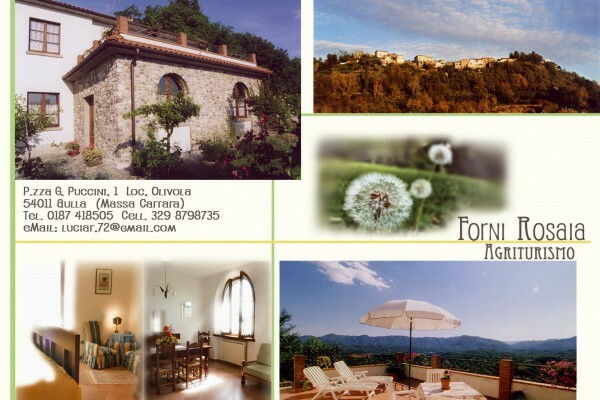 Did you stay in Agriturismo Forni Rosaia? Let us know what you thought about it and help others to make the right choice! * I confirm having stayed in Agriturismo Forni Rosaia. 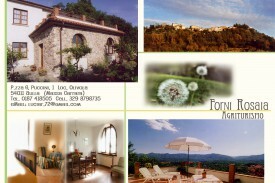 Find other bed & breakfasts in Aulla or all bed & breakfasts in Tuscany (Florence).